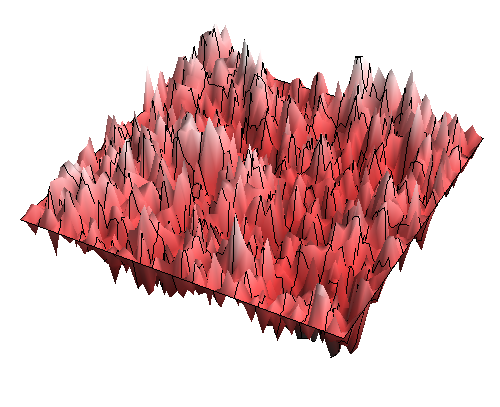 Gaussian free field (GFF) is a generalization of Brownian motion to such spatially indexed settings. Similarly to Brownian motion, GFF is a centered Gaussian process which satisfies a spatial generalization of the Markov property -- the Gibbs-Markov random field property. Apart from that, GFF is tightly linked to the behavior of random walks on graphs: the covariance of GFF is given by the inverse graph Laplacian. Given this, it is not surprising that GFF is an important probabilistic object which has recently received much attention in the mathematics literature. Time-permitting: Extreme-value theory: point processes, extremal distributions, extremal processes. Takes place on October, 1st, 2015. 1 Talk = 50 minutes.